MiniMoog V v2, Virtual subtractive synth from Arturia. Product replaced by the Arturia Mini V3. Arturia has announced the new version of its Minimoog V virtual synth. 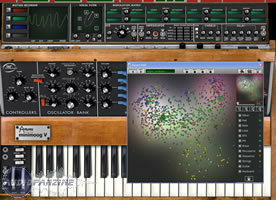 Registered users will be able to download the version 2.0 of the Minimoog V software. Increased stability in Multi Mode.